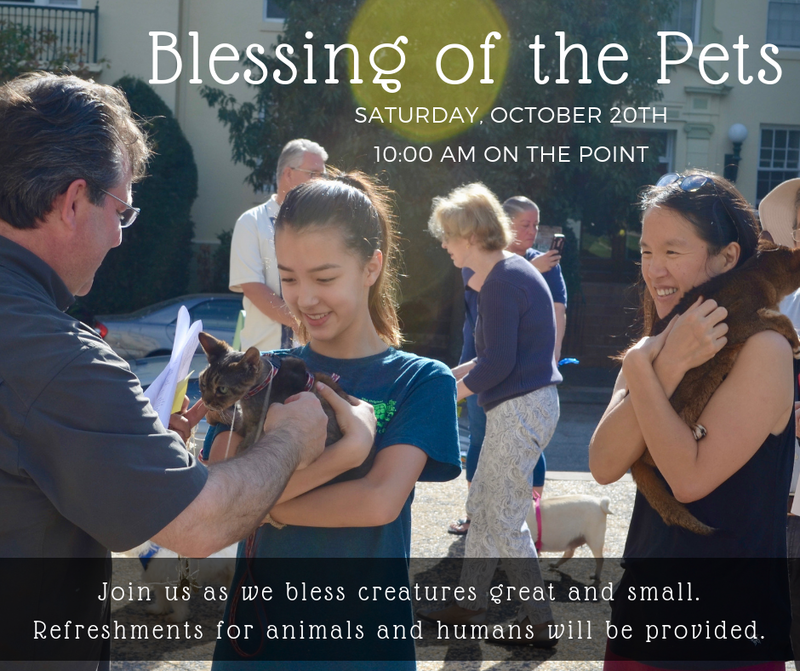 Bring your pet and join us on Saturday, October 20th at 10 am on The Point (corner of Charles and Greenway) as we offer a blessing on all of our creatures great and small. This event is open to the community and was a great success last year. Refreshments for humans and some of their animal companions will be provided. Please have your animal on a leash or in a container.